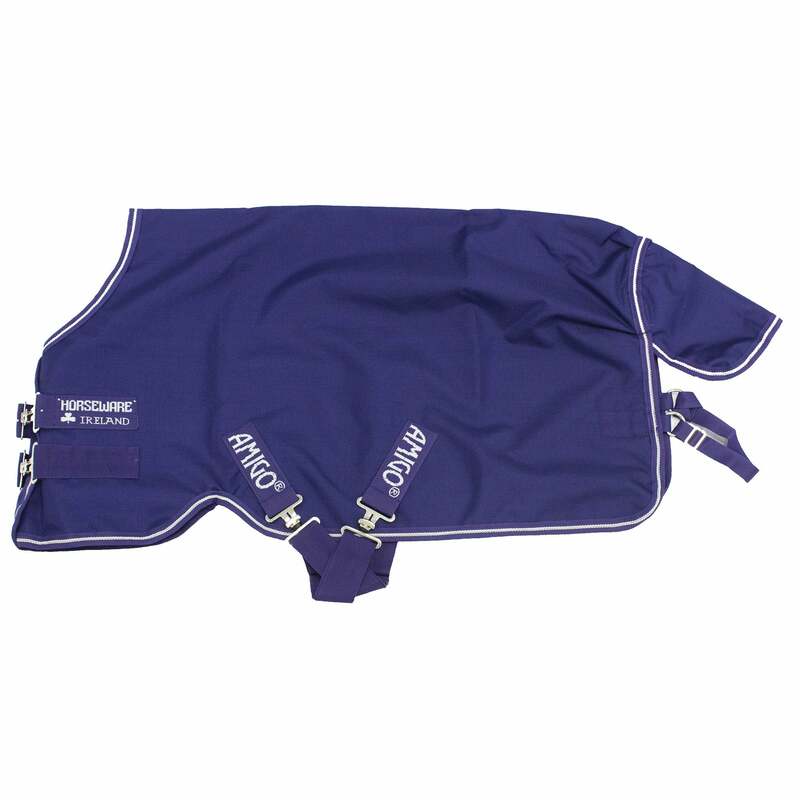 The Amigo Hero ACY Lite Pony Turnout Rug is made from tough and durable air conditioned yarn (ACY), a manufacturing process which produces a stronger, lighter and more breathable polyester outer. Classic cut with no fill, this stylish rug is perfect for keeping the rain from your pony's back. Front leg arches allow for more under belly coverage whilst the polyester lining enhances shine.